A recent Pennsylvania court ruling on Risperdal lawsuits leaves drug manufacturer Johnson & Johnson open to claims for punitive damages. The lawsuits allege that the drug Risperdal caused men to grow breasts.The condition is known as gynecomastia. The cases will now be tried under New Jersey’s state product liability law, rather than Pennsylvania’s. There are more than 6,000 Risperdal lawsuits pending. The ruling of a Pennsylvania Superior Court panel determined that the home state of the plaintiffs should apply to the Risperdal gynecomastia suits, which were filed in Pennsylvania in a mass tort litigation. The recent ruling overturns an October 2015 decision by Judge Arnold New, who is the coordinating judge for the Complex Litigation Center. That decision determined that the product liability laws of the state where Risperdal was developed and marketed should apply in the cases. Johnson & Johnson, the drug maker, is headquartered in New Jersey. The recent decision also implies that the earlier court should have considered whether to apply the law of the state where the plaintiffs resided. Effectively, that means previously decided cases may be open to reconsideration, as plaintiffs earlier were not able to bring a suit for punitive damages. Punitive damages, as the term implies, are often awarded if the court determines that the defendant needs to be punished for their actions due to recklessness or egregious damage. Punitive damages are often higher than compensatory awards. The net effect is that Johnson & Johnson may now be exposed to more expansive liabilities. The claims allege that Johnson & Johnson’s subsidiaries did not sufficiently warn either consumers or the medical community about the risk that taking Risperdal might cause gynecomastia, the development of breasts, in boys and young men. 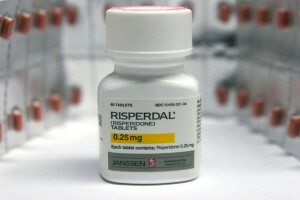 Risperdal is an anti-psychotic medication. The condition often requires corrective surgery. All of the pending cases are similar in matters of fact and law. The preponderance of cases are located in Philadelphia, where they are part of a mass tort. Representative cases, termed bellwether cases, have been set for trial. So far, juries have returned the majority of verdicts in favor of the plaintiffs. Only one has decided in favor of Johnson & Johnson. In summer 2016, for example, a jury awarded $70 million in compensatory damages to the family of a 5-year-old boy who took Risperdal. In other cases, plaintiffs have been awarded $2.5 million (February 2015), $1.75 million (November 2015), and $500,000 (December 2015). Two cases, one in 2016 and one in 2017, were dismissed. A recent case, the only one in which Johnson & Johnson has been successful, overturned an earlier award to the plaintiffs.